According to diplomats, the European Union could expand sanctions against Russia by targeting new people and companies as early as next week if Ukraine rebels do not de-escalate the crisis, Reuters reports. Turmoil in eastern Ukraine has continued despite Ukrainian President Petro Poroshenko’s offer of a cease-fire to pro-Russian rebels, with both sides accusing each other of violating it. 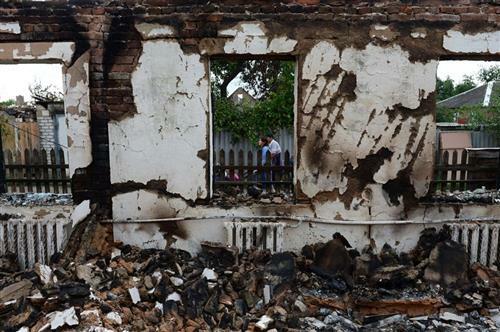 At least 11 Ukrainian soldiers have been killed since the June 23 cease-fire. Perhaps alarmed by the prospect of punitive sanctions by the United States and the European Union, on June 25 the Russian parliament at the request of President Vladimir Putin rescinded the March 1 resolution that authorized him to intervene militarily in defense of Russian speakers in Ukraine and other non-Russian states. 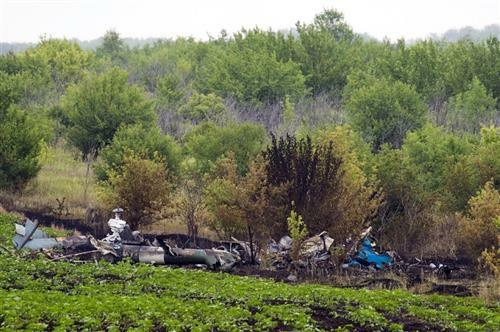 Putin’s actions may also have been motivated by the Ukrainian armed forces’ successful counterattacks. 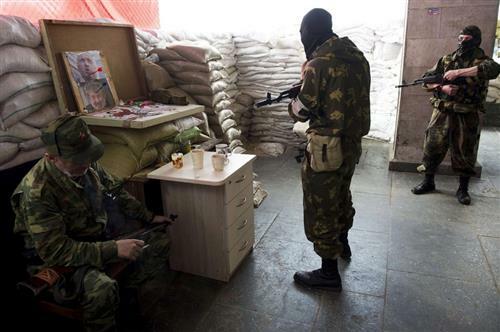 After several early setbacks, Ukraine’s counterterrorism operations in recent weeks have squeezed the insurgents into an area of about one-third of the Donbas region and regained control of much of the border with Russia. Self-defense units comprising volunteers from the region, who have thrown in their lot with Ukraine in the ongoing struggle against pro-Russian rebels, have been instrumental in that offensive. The volunteers come from diverse religious and ethnic backgrounds (including Ukrainians, Russians, Jews and many others), possess a sincere commitment to a democratic, pro-Western Ukraine and share a remarkable interethnic Ukrainian patriotism. One such unit is the Donbas Battalion. Last week I had the opportunity to visit the battalion’s training camp outside Kiev as part of a small group of opinion-makers and experts on a three-day study tour sponsored by the NATO Information and Documentation Center in Kiev. The visit brought home several points. First, Ukrainians are determined to fight and retain their sovereignty. Second, residents of the Donbas, generally considered indifferent to Ukraine, can be as patriotic as western Ukrainians. Third, the interethnic patriotic sentiments suggest that Ukraine is witnessing the emergence of an all-inclusive polity. These developments bode well for Ukraine’s future and portend a sad end for Putin’s imperialist adventures in the mineral-rich eastern region. According to Interfax, Ukrainian rebels say they have agreed to take part in further peace talks in Donetsk on Friday, Reuters reports. Ukrainian President Petro Poroshenko has signaled that he will soon order a unilateral ceasefire in the separatist east, a move that could end a 10-week conflict that has resulted in the deaths of hundreds of civilians according to the United Nations. "The peace plan begins with my order for a unilateral ceasefire," Poroshenko said in a speech to students at a military institute in Kiev. "Immediately after this, we need very quickly to get support for the peace plan ... from all participants," he added, while outlining a 14-step blueprint towards an end to the conflict. Poroshenko's announcement on Wednesday came a day after a phone conversation with Russian President Vladimir Putin in which the two leaders discussed a long-term solution to the pro-Russian uprising gripping eastern Ukraine since early April. Poroshenko announced in the capital, Kiev, that the ceasefire was meant to be a temporary measure designed to give the pro-Russian fighters a chance to disarm. Ukrainian Prime Minister Arseny Yatseniuk ordered the energy sector to prepare for Russian gas cuts from Monday after Moscow and Kiev failed to resolve their differences over gas prices, raising fears of interruptions in gas flows to Europe. Moscow set Monday, June 16, as a deadline for Ukraine to pay off part of its gas debt of $1.95 billion. Yatseniuk also ordered the national regulator to revise transportation tariffs for Russian gas via Ukraine. Russia ships around a half of its gas exports to Europe through Ukraine, according to a government statement published on Friday. NATO's Rasmussen says it would mark a serious escalation if it is confirmed that Russian tanks have entered Ukraine, Reuters reports. Ukrainian government forces were said to have retaken the port city of Mariupol from pro-Russian separatists in heavy fighting on Friday and regained control of a long stretch of the border with Russia. The advances would mark significant victories for Ukraine’s pro-European leadership, which is fighting to hold the former Soviet republic of 45 million together. An armed separatist rebellion began in east Ukraine in April, which many, including the U.S., have accused Russia of orchestrating. "At 10:34 a.m. the Ukrainian flag was raised over City Hall in Mariupol," Interior Minister Arsen Avakov wrote on Facebook, less than six hours after the attack began on the city of 500,000, Ukraine's biggest Azov Sea port. A ministry aide said the government forces stormed the rebels after they were surrounded and given 10 minutes to surrender. At least five separatists and two servicemen were killed in the battle before many of the rebels fled. Mariupol, which has changed hands several times in weeks of conflict, is strategically important because it lies on major roads from the southeastern border with Russia into the rest of Ukraine and steel is exported through the port. Regaining control of the long and winding frontier is also vital for the government because it accuses Moscow of allowing the rebels to bring tanks, other armored vehicles and guns across the porous border. Avakov said the government forces had won back control of a 75 mile stretch of the border that had fallen to the rebels, but it is not clear who controls other parts of the about 2,000-km frontier. Ukraine accused Russia on Thursday of allowing rebels to bring three tanks and other military vehicles across the border into country’s east to fight the Ukrainian army. Interior Minister Arseny Avakov stopped short of directly accusing Moscow of sending the tanks – but he made it clear that he held Russian President Vladimir Putin responsible for failing to carry out a promise to tighten controls at the two countries’ border. The Interfax news agency quoted Avakov as saying that a "column" with armored vehicles crossed from Russia through border posts controlled by pro-Russian rebels near Dyakove village in eastern Ukraine. Evidence that Russia is sending in weapons or assisting the rebels militarily would further implicate Moscow in the uprising against Kiev's pro-Western leaders, despite Russia’s denials that it has played a role in weeks of fighting. Avakov said that vehicles including automobiles and armored personnel carriers crossed the border, and that three tanks went to the town of Snizhne about 25 miles from Dyakove. One remained there while two others left in the direction of the town of Horlivka and were engaged by the Ukrainian military, he said, adding that "part of this column has been destroyed" by Ukrainian forces. Ukraine’s President Petro Poroshenko has discussed the situation with his defense and security chiefs, and then told Putin by phone that the situation was "unacceptable," Poroshenko’s spokesman said. According to a presidential spokesman, Ukrainian President Poroshenko told Russian President Putin that it was 'unacceptable' that thanks were allowed to enter Ukraine from Russia, Reuters reports. According to ITAR-TASS, Ukrainian President Poroshenko has told Russian President Putin by phone about plans to resolve problems in eastern Ukraine, Reuters reports. Russia plans to submit a draft resolution to the U.N. Security Council to put pressure on Ukraine to implement a "road map" to peace, Foreign Minister Sergei Lavrov was quoted as saying on Thursday. The road map was drawn up by the Organization for Security and Cooperation in Europe in May to give impetus to a deal reached in Geneva by the European Union, Russia, Ukraine and the United States to try to end the crisis in Ukraine. Lavrov accused Kiev of not abiding by the Geneva agreement or the road map and blamed it for the failure to end violence in east Ukraine, where the Ukrainian army is battling pro-Russian separatists who control several towns and cities. Russia has already submitted several draft resolutions on Ukraine to the Security Council which have been rejected. "We have assigned our (U.N.) envoy in New York, Vitaly Churkin, to submit a draft resolution to the Security Council on the situation in Ukraine," the state-run Itar-Tass news agency quoted Lavrov as saying. "That is because the lack of any progress in the efforts to end the violence ... is causing growing concern," he said. Ukraine and its Western allies accuse Russia of fuelling the uprising in east Ukraine, but Moscow denies this. The separatist rebels have called on Russia to send in peacekeepers but Lavrov said their deployment was not warranted by the situation. The Vice President spoke both yesterday and again today with Ukrainian President Petro Poroshenko regarding the security situation in eastern Ukraine, where militants coming from Russian territory have taken control of parts of the Russian-Ukrainian border. The Vice President applauded President Poroshenko’s commitment to implementing the peace plan he presented in his inaugural address on June 7th, and underscored that de-escalation depends on Russia’s recognizing President Poroshenko as the legitimate leader of Ukraine, ceasing support for separatists in eastern Ukraine, and stopping the provision of arms and materiel across the border. President Poroshenko confirmed his offer that if the separatists disarmed and vacated the buildings they presently occupy, the Ukrainian government was prepared to grant amnesty within Ukraine or safe passage back to Russia. Finally, the Vice President expressed his strong support for the trilateral discussions between Ukraine, Russia and OSCE Special Representative Heidi Tagliavini. Russia offered Wednesday to restore the discounted gas prices it granted Ukraine under ousted pro-Russian president Viktor Yanukovich, but Ukraine demanded an even better deal and called for arbitration to settle the dispute. Speaking in Moscow, Russian President Vladimir Putin said Russia was offering the discount as a "partnership deal." Russia's energy minister, Alexander Novak, specified the price offered as $385 per 1,000 cubic meters of gas. "We believe that our offer is more than in a partnership spirit, aimed to support the Ukrainian economy at a rather difficult time," Putin said in televised remarks. "But if our offers are rejected it means we will enter another stage. This is not our choice. We do not want it." Ukrainian Energy Minister Yuri Prodan told Russian news agencies on Wednesday that Kiev found the deal unacceptable, and that said Ukraine was seeking a price lower than $385 per 1,000 cubic meters. Russia and Ukraine have been locked for months in a dispute over the price of Russian gas supplies and Ukraine's debt for previous deliveries. Moscow has threatened to turn off the tap if Ukraine fails to settle the multibillion-dollar debt, but repeatedly pushed back the deadline after Ukraine paid off part of the debt. The latest round, which began on a more positive note after Russian giant Gazprom extended to Monday a threatened gas cut-off, broke up with all three parties explaining their positions separately, highlighting continued deep differences. The European energy commissioner says Russia and Ukraine will try to make progress in gas talks in the next 48 hours, Reuters reports. Ukraine's energy minister has rejected Russia's gas discounts and has called for a solution in court, The Associated Press reports. Speaking from Brussels, the Russian energy minister says any future gas price talks between Russia and Ukraine are conditional on movement from Ukraine and there is no deal yet, Reuters reports. According to RIA, which is citing the energy ministry, Russian gas company Gazprom and Russian energy ministry officials are heading to Brussels to continue talks on Ukraine gas supplies, Reuters reports. Ukraine has a new president — one who is intent on keeping Crimea as part of Ukraine, Reuters reports. Ukraine's new president Petro Poroshenko said his country would never give up Crimea and would not compromise on its course towards closer ties with Europe, spelling out a combative and defiant message to Russia in his inaugural speech on Saturday. The 48-year-old billionaire took the oath of office before parliament, buoyed by Western support but facing an immediate crisis in relations with Russia as a separatist uprising seethes in the east of his country. Russia annexed the Crimean peninsula in March, weeks after street protests ousted Poroshenko's pro-Moscow predecessor, Viktor Yanukovich, in a move that has provoked the deepest crisis in relations with the West since the Cold War. "Citizens of Ukraine will never enjoy the beauty of peace unless we settle our relations with Russia. Russia occupied Crimea, which was, is, and will be Ukrainian soil," Poroshenko said in a speech that drew a standing ovation. He had told this to Russia's Vladimir Putin when the two met on Friday at a World War Two anniversary ceremony in France, he said. Poroshenko, who earned his fortune as a confectionery entrepreneur and is known locally as the "Chocolate King", said he intended very soon to sign the economic part of an association agreement with the European Union, as a first step towards full membership. This idea is anathema to Moscow, which wants to keep Ukraine in its own post-Soviet sphere of influence. His voice swelling with emotion, Poroshenko stressed the need for a united Ukraine and the importance of ending the conflict that threatens to further split the country of 45 million people. He said it would not become a looser federalized state, as advocated by Russia. "There can be no trade-off about Crimea and about the European choice and about the governmental system. All other things can be negotiated and discussed at the negotiation table. 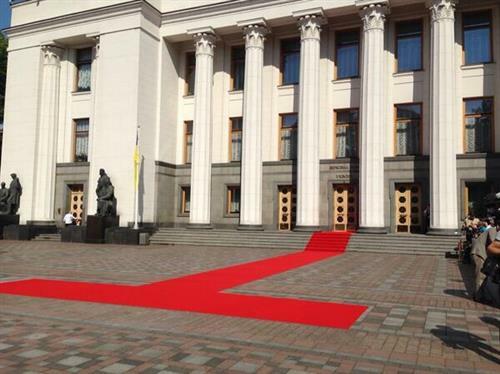 Any attempts at internal or external enslavement of Ukraine will meet with resolute resistance," Poroshenko said. Poroshenko, Ukraine's fifth president since independence, won a landslide election on May 25 after promising to bridge the east-west divide that has split the country and thrust it into a battle for its survival. Ukrainians hope the election of Poroshenko, who is married with four children, will bring an end to the most tumultuous period in their post-Soviet history. More than 100 people were shot dead by police in Kiev by police in the street protests that eventually brought Yanukovich down and in the east, scores of people, including separatist fighters and government forces have been killed in fighting since April. The uprising in the east is not the only challenge facing Poroshenko, who inherits a country on the verge of bankruptcy, still dependent on Russia for natural gas and rated by watchdogs as one of the most corrupt and ill-governed states in Europe. Following Poroshenko's inauguration, which Vice President Biden attended, Russian agencies reported Russian President Putin gave the order to the FSB security service to strengthen the protection of the border with Ukraine, Reuters reported a little after 7 a.m. ET on Saturday. President Obama spoke informally with President Putin for about 15 minutes at the conclusion of the leaders lunch. President Obama underscored that the successful Ukrainian election provides an opportunity that should be taken. President Obama made clear that de-escalation depends upon Russia recognizing President-elect Poroshenko as the legitimate leader of Ukraine, ceasing support for separatists in eastern Ukraine, and stopping the provision of arms and materiel across the border. President Obama noted President-elect Poroshenko's commitment to pursue reforms to ensure that the rights and interests of all Ukrainians are respected, and urged Russia to work immediately with the government in Kiev to reduce tensions. President Obama made clear that a failure to take these steps would only deepen Russia's isolation. If Russia does take this opportunity to recognize and work with the new government in Kiev, President Obama indicated that there could be openings to reduce tensions. Russian President Vladimir Putin says an immediate ceasefire in eastern Ukraine is necessary to create conditions for talks. Putin, speaking to reporters in Normandy in remarks televised live on Russian television Friday, said that he expects Ukrainian president-elect Petro Poroshenko to show "good will" and "state wisdom." Putin also said that Moscow is ready for constructive discussion with Ukraine on settling its gas debt to Russia. He said that he and Poroshenko met for 15 minutes to discuss the main issues related to settling the crisis. Speaking from France, Russian President Putin said said he welcomes the proposals by Ukrainian President-elect Poroshenko to stop bloodshed in Ukraine, Reuters reports. He said he warned both Poroshenko and European Union leaders that Russia will implement protectionist measures if Ukraine signs an EU association deal, according to Reuters. The Russian president went on to say Ukraine must cease the 'punitive' military operation in southeast Ukraine, Reuters reports. Russian President Vladimir Putin and Ukrainian President-elect Petro Poroshenko called on Friday for a speedy halt to bloodshed and military actions in eastern Ukraine, Russian news agencies reported, citing the Kremlin's spokesman. The two leaders met for the first time since Moscow annexed Crimea, as world leaders commemorated the 70th anniversary of the World War Two D-Day landings in France. "In a brief conversation, both Putin and Poroshenko called for a speedy end to the bloodshed in southeastern Ukraine as well as to fighting on both sides - by the Ukrainian armed forces as well as by supporters of the federalization of Ukraine," RIA Novosti news agency cited Kremlin spokesman Dmitry Peskov as saying. The White House says President Barack Obama has spoken with Russian President Vladimir Putin on the margins of a lunch for world leaders during D-Day commemorations in France. It's the first face-to-face exchange between Obama and Putin since the start of the crisis in Ukraine. The White House says the two leaders held an informal conversation and not a formal, bilateral meeting. The conversation lasted 10 to 15 minutes. The exchange came during a lunch hosted by French President Francois Hollande (frahn-SWAH' oh-LAWND'). Obama and Putin were both in France for the 70th anniversary of Allied troops storming the beaches at Normandy. According to RIA Novosti, which is citing the Kremlin, Russian President Putin and Ukrainian President-elect Poroshenko have called for a halt to the bloodshed and military actions in eastern Ukraine, Reuters reports. Ben Rhodes tells the pool that Potus and Putin talked on the sideline of the luncheon: "President Obama and President Putin did speak with each other on the margins of the leaders lunch. It was an informal conversation - not a formal bilateral meeting. Will have longer readout to come but wanted to confirm given reports." Rhodes said they spoke for 10 to 15 minutes.
.@rhodes44 tells pool Obama/Putin spoke for 10 to 15 minutes. Despite reports from the White House press pool to the contrary, French President Hollande's office says President Obama and Russian President Putin held a brief meeting at Friday's D-Day event, Reuters reports. The Associated Press, citing the White House, is also reporting that President Obama and President Putin held an informal conversation on the margins of the leaders lunch in France.